As you may be aware, not all VPN’s work with Netflix due to their VPN blockers. 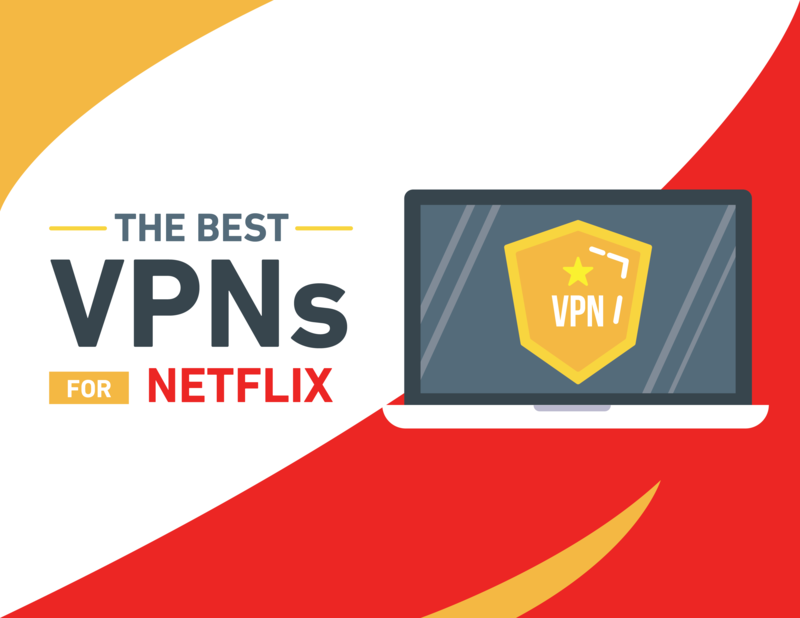 At VPN Geeks we want to offer you the best info on VPNs that currently work with Netflix so that you can just jump on and enjoy movies (no matter where you are in the world). If you are looking to unblock Netflix and stream movies seamlessly, without geo-restrictions when you are traveling – then you’ve come to the right place! An increasing number of people significantly improve their Netflix experience using a VPN. With a Netflix VPN, you can unblock the entire US library, or simply access media that is restricted in your region by using a different IP address. 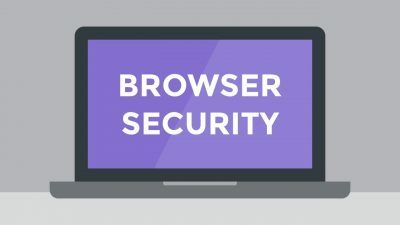 You may or may not be aware, that Netflix is always finding new ways to block VPN’s, so many Netflix VPNs provided on the web will be out-dated due to this ongoing ban. Netflix has stated that they are in a war to ban VPN’s from accessing their services. To understand why Netflix is banning VPNs we must first understand their business model. Launched back in 2007 Netflix is has exploded in popularity and is now the world’s leading video on demand (VoD) platform. Although Netflix has over 125 million international subscribers, the content that these users can access varies widely from one location to the next. In fact, the US Netflix library is the most expansive, with significantly more media available to their US subscribers. Netflix subscribers from locations outwith the US can feel a bit left out of the loop. For this reason (non-US) Netflix users are always keen to access the same content as their US subscribers by using a VPN. The great thing about using a VPN is that you can bypass geographic restrictions and therefore unlock access to the full US Netflix content library. Why can’t everyone access the full Netflix library? Good question! The streaming industry is big business and Netflix is no different. Netflix (and those who create content on their platform) spend a lot of time and money on creating their own unique content and original series’ that you cannot find anywhere else. Streaming is quickly becoming the new TV with big names getting increasingly more involved in the platform/s. In fact, it has been a recent trend for big stars to choose Netflix over Movies. Other competitor streaming platforms include Hulu, BBC iPlayer and Amazon Prime. In the case of Netflix, they have to abide by the wishes of the original creator or copyright owner. This can mean that a content creator places their own geographic restrictions on the content that Netflix is obliged to adhere to. Therefore it is not always Netflix who want to impose these geographic restrictions, they are often simply responding to the requests of their partners. Why would a creator decide to impose a geographic restriction? The reason that content creators restrict their media can be summed up in one word – money. Distribution deals are normally done on a “per location” basis. There is more money to be made by working with regional/national distributors, and for this reason, Netflix has to work within these restrictions. A producer could decide to license their material to Sky in America and the BBC in the UK for example. This means that the geographic restrictions imposed by copyright holders become of great importance to broadcasters. The current VPN ban happened in 2016 due to increasing pressure on Netflix from copyright owners. For some time prior, people were using VPNs freely to change their IP via a US server. However, when the content creators found out about this circumvention they pressured Netflix into putting measures in place to block VPNs. The answer to this question can again be summed up in the same 5 letter word – money. If Netflix banned all VPNs outright, then they would probably lose a lot of subscribers. This is obviously not the result that Netflix prefers to happen, therefore they have not banned all VPNs and they don’t go after their subscribers for using VPNs. Since 2016, when the Netflix VPN ban came into force Netflix has spent a lot of money on next-gen tech that automatically tracks down VPN activity. Now very few VPNs are able to actually provide a continuous US Netflix VPN service that unblocks all US content. The more serious Netflix VPNs deploy new servers on a weekly basis to outwit the Netflix VPN ban and keep their customers happy. 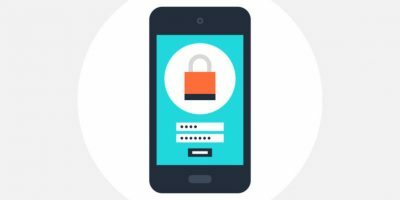 A very small percentage of VPNs will unblock Netflix and for this reason, we decided to put this article together to offer expert advice and the latest Netflix VPNs that allow you to unblock Netflix easily. 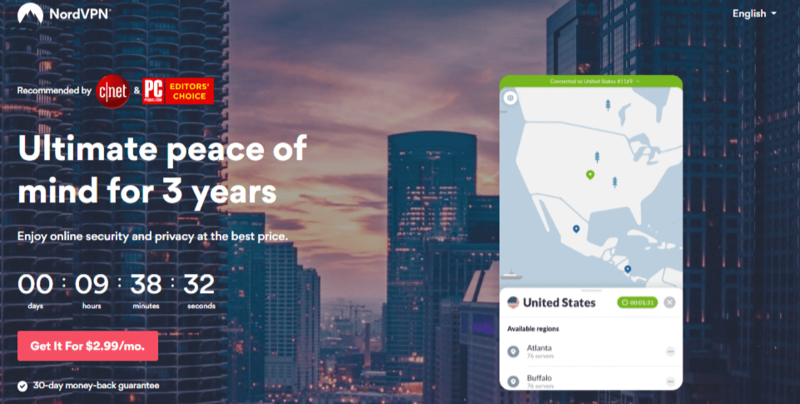 NordVPN was founded a decade ago in Panama. They offer Netflix unblocking so that you can stream Netflix with ease in 4 locations around the world. This number is continually changing as they add more and more servers to their list. The current Netflix server locations are the US, UK, France, and the Netherlands. They have thousands of servers all around the world, in 62 countries. What is really neat about NordVPN is the fact that they provide a list of which of their servers are currently working with Netflix. Like I said before, this is always changing, so it is great that Nord automatically tracks this and let their customers know. Nord is a leader in the VPN industry and well known for their Netflix VPN service. For this reason, their servers can get busy. Express VPN has several servers throughout the world that successfully unblock Netflix. They obviously see this as an important service to provide their customers as they currently offer servers in the UK, US, and Canada that will allow you to stream Netflix. When you use a VPN from ExpressVPN you will get access to the movie libraries in the chosen server location. This is great news if you want to catch a movie that is released in the US but not yet in the UK (or vise-versa). ExpressVPN also unblock BBC iPlayer so that you can stream media from there also! 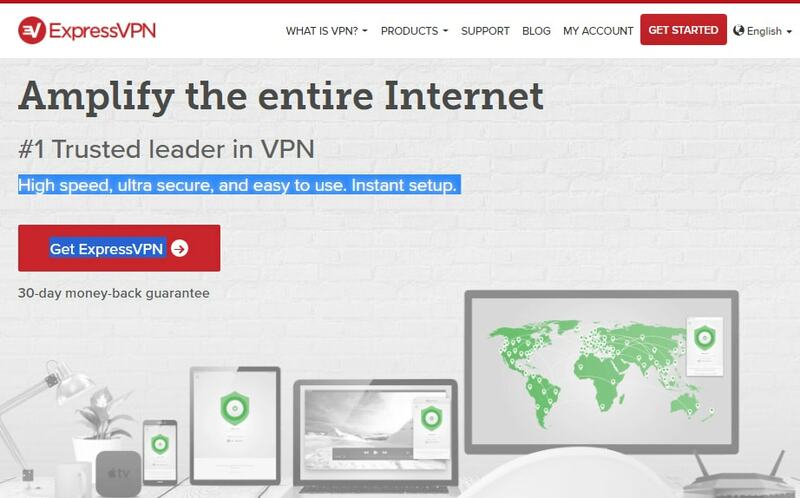 ExpressVPN offers fast throttle-free speeds to watch US Netflix seamlessly. You can get started in just a few minutes and they offer a full 30-day money back guarantee for your peace of mind. ExpressVPN works to provide you with blazingly fast streaming for Netflix, no matter where you are in the world. 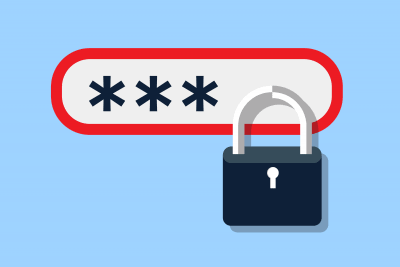 As a side note, you might need to try a few of their servers to make sure that you can stream Netflix with ExpressVPN. 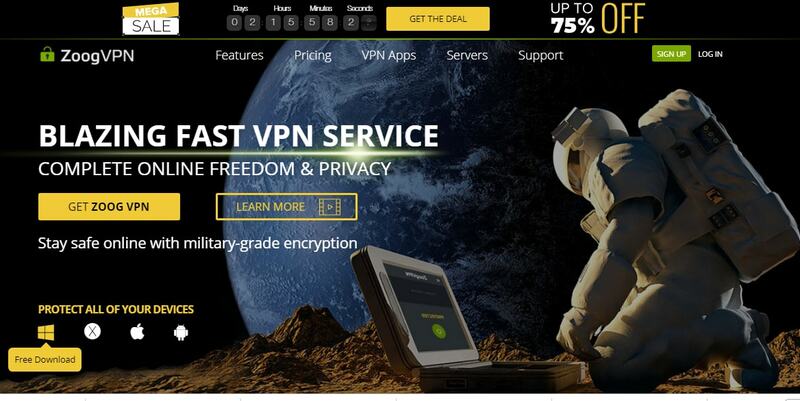 GooseVPN is a specialist VPN company based in the Netherlands. They offer 4 international server locations that will unblock and stream Netflix in the US, Canada, UK, and the Netherlands. 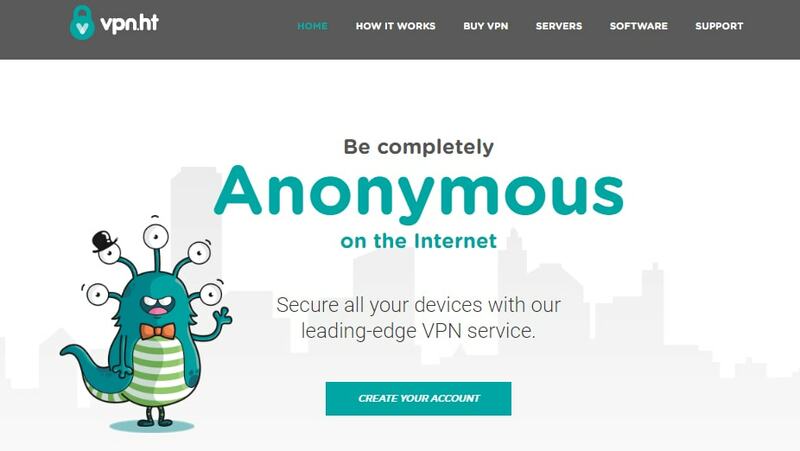 GooseVPN boasts that with them, you can binge watch Netflix from anywhere in the world. What is great, is that you can try GooseVPN for free, and be using their US Netflix VPN within minutes. They have gone the extra mile to make their account creation process super simple so that you can install it within just 3 minutes. PrivateVPN is a specialist VPN provider based in Stockholm that offers a dedicated Netflix service. They have Netflix servers in two locations in the UK to successfully allow their users to unblock US Netflix and gain access to the US movie library. PrivateVPN also has Netflix servers in Canada, UK, and the Netherlands. With PrivateVPN you can get started free of charge – they boast being able to view “All of the Netflix Content”. Rather than the normal US content Private VPN have gone the extra mile to ensure that you can view everything on Netflix via one of their Netflix servers. LiquidVPN is a company based out of Wyoming who specializes in unblocking sites such as Netflix and social media platforms like Twitter and Facebook. They have servers in a wide variety of locations around the world and offer Netflix streaming from their New York, Canadian, British and Dutch servers. LiquidVPN is obviously quite serious and dedicated to unblocking Netflix. They offer a lot of advice and information about the Netflix VPN ban for people to find out more. StrongVPN is a Californian VPN provider with over 660 servers located around the world. StrongVPN offers Netflix streaming from their Canadian, Dutch and US servers. In fact, they have two locations in the US – New York and Chicago, that allow you full access to the US Netflix library. 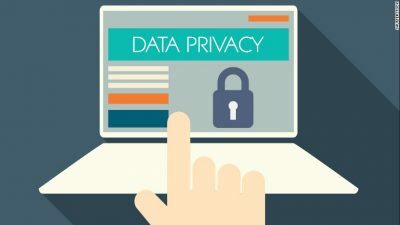 StrongVPN allows you to unblock censored sites like Netflix and offer some useful online advice if you require more assistance. ZoogVPN allows you to unblock Netflix on all 5 of their premium US servers. Additionally, they have optimized their servers so that they offer some great speeds and very little lag time. ZoogVPN has a detailed page on how to unblock the US Netflix library in the UK so that you can enjoy unrestricted access to all of the content. ZoogVPN quite rightly states that it is often frustrating for UK citizens do not have access to the full US Netflix library. For this reason, they offer Netflix streaming. They offer superfast Netflix streaming services via their VPN that you can set up in minutes. 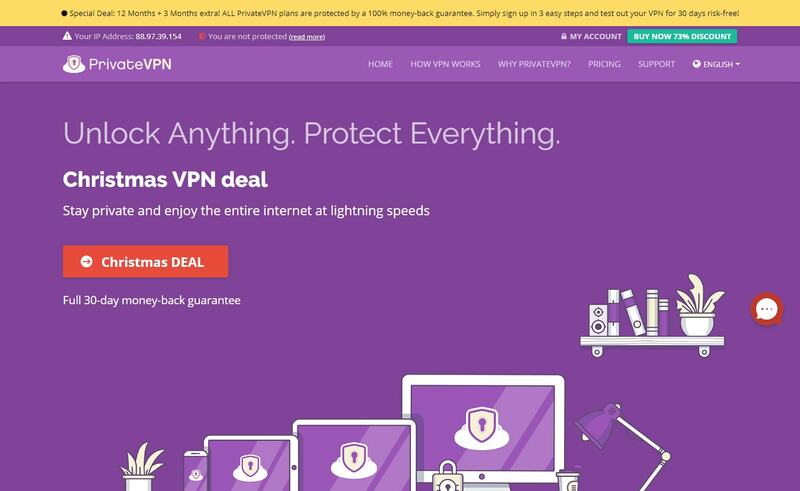 VPN.ht is a provider based in Hong-Kong that specializes in giving access to blocked content (like Netflix). They use servers all around the world to circumvent the current content ban that has been put in place by many governments around the world (such as China). VPN.ht provide a no logs policy, which is certainly a great feature for a VPN. Furthermore, you can get started as soon as you create an account and access blocked content from anywhere in the world. Unless you are using a really good Netflix VPN then it is quite easy for Netflix to automatically detect that you are accessing their service via a VPN. 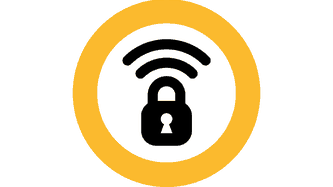 Another key issue is that your device might default to using its own DNS and therefore create a conflict between the DNS and the VPN IP address. Furthermore, if Netflix sees a lot of requests coming from a specific IP address then they can flag that IP address as a VPN. Do Netflix Ban Subscribers for Using a VPN? It is against the Netflix terms of service to use a VPN, however, they have never been known to directly penalize their subscribers. Instead of going after subscribers, Netflix prefers to block VPN IP address’. For this reason, it is important to make sure that your VPN has enough US servers to be able to unblock Netflix. Some VPN providers are dedicated to continually adding on new Netflix servers. For example, LiquidVPN bill themselves as “The Best Netflix VPN! – so you can be sure that unblocking Netflix is high up on their list of priorities.